The current warming trend is of particular significance because most of it is extremely likely (greater than 95 percent probability) to be the result of human activity since the mid-20th century and proceeding at a rate that is unprecedented over decades to millennia1. The heat-trapping nature of carbon dioxide and other gases was demonstrated in the mid-19th century2. Their ability to affect the transfer of infrared energy through the atmosphere is the scientific basis of many instruments flown by NASA. 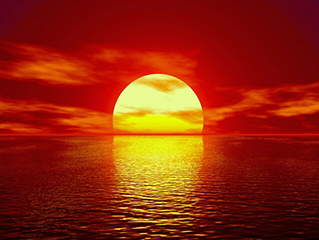 There is no question that increased levels of greenhouse gases must cause the Earth to warm in response. Ice cores drawn from Greenland, Antarctica, and tropical mountain glaciers show that the Earth’s climate responds to changes in greenhouse gas levels. Ancient evidence can also be found in tree rings, ocean sediments, coral reefs, and layers of sedimentary rocks. This ancient, or paleoclimate, evidence reveals that current warming is occurring roughly ten times faster than the average rate of ice-age-recovery warming3. After successful accomplishment of the previous 5 yearly campaign ‘Collective Action to Restore Environment’ (CARE 2102-16) in 2016 Green Living Association has announced its new 5 yearly campaign ‘Collective Action to Check Climate Change’ (CATCH 2107-21) with an ambition to approach each Pakistani to contribute his/ her part in controlling Global Warming. During our previous practical campaign ‘CARE’, Green Living Association has successfully achieved its target of increasing the number of associated Green Families from around 100,000 in 2012 to over 200,000 by the end of 2016. The dedication goes to our committed Green Partner Schools with their commendable spirit in developing today’s students into tomorrow’s Environment Friendly grownup citizens. The focus of ‘CATCH’ is to combat Global Warming – the most critical issue of the contemporary world. It's hard to think of many things powerful enough to disrupt life across our entire planet. We may take into consideration natural disasters like earthquakes, erupting volcanoes, terrorist attacks or catastrophic nuclear explosions, like the one that happened at the Chernobyl (Ukraine in 1986), but even they do not affect the whole Earth. One of the most dire impacts of anthropogenic (man made) climate change is a rise in the global sea level caused by the melting of glaciers and land-based ice caps, as well as a smaller increase from expansion due to the higher temperature of the water itself. Unlike some other predicted effects of climate change, this impact has already been observed for some time. Indeed, not only is there evidence that sea levels are rising; there is also evidence both that the rate of sea level rise has been increasing in recent years and that it will continue to increase. 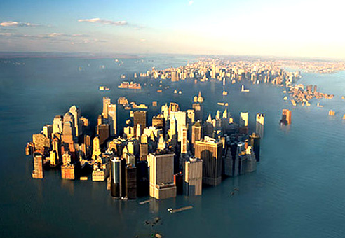 Global sea level rose about 8 inches in the last century. The rate in the last two decades, however, is nearly double that of the last century4. The planet's average surface temperature has risen about 2.0 degrees Fahrenheit (1.1 degrees Celsius) since the late 19th century, a change driven largely by increased carbon dioxide and other human-made emissions into the atmosphere5. Most of the warming occurred in the past 35 years, with 16 of the 17 warmest years on record occurring since 2001. Not only was 2016 the warmest year on record, but eight of the 12 months that make up the year — from January through September, with the exception of June — were the warmest on record for those respective months6. The oceans have absorbed much of this increased heat, with the top 700 meters (about 2,300 feet) of ocean showing warming of 0.302 degrees Fahrenheit since 1969.7 Sea surface temperature increased during the 20th century and continues to rise. From 1901 through 2015, temperature rose at an average rate of 0.13°F per decade. Sea surface temperature has been consistently higher during the past three decades than at any other time since reliable observations began in 1880. Based on the historical record, increases in sea surface temperature have largely occurred over two key periods: between 1910 and 1940, and from about 1970 to the present. Sea surface temperature appears to have cooled between 1880 and 1910. Changes in sea surface temperature vary regionally. While most parts of the world’s oceans have seen temperature rise, a few areas have actually experienced cooling—for example, parts of the North Atlanti. 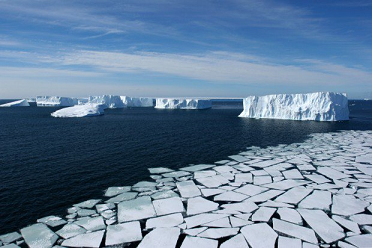 The Greenland and Antarctic ice sheets have decreased in mass. Data from USA's NASA's Gravity Recovery and Climate Experiment show Greenland lost 150 to 250 cubic kilometers (36 to 60 cubic miles) of ice per year between 2002 and 2006, while Antarctica lost about 152 cubic kilometers (36 cubic miles) of ice between 2002 and 2005. The polar ice sheets are indeed shrinking—and fast, according to a comprehensive new study on climate change. And the effects, according to an international team, are equally clear—sea levels are rising faster than predicted, which could bring about disastrous effects for people and wildlife. 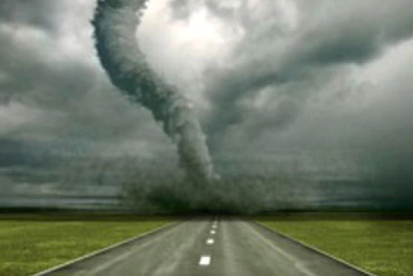 Recent weather events such as deadly heat waves and devastating floods have sparked popular interest in understanding the role of global warming in driving extreme weather. These events are part of a new pattern of more extreme weather across the globe, shaped in part by human-induced climate change. As the climate has warmed, some types of extreme weather have become more frequent and severe in recent decades, with increases in extreme heat, intense precipitation, and drought. Heat waves are longer and hotter. Heavy rains and flooding are more frequent. In a wide swing between extremes, drought, too, is more intense and more widespread. Given that they cover 70% of the Earth’s surface—and provide about 90% of the planet’s habitable space by volume—the oceans tend to get short shrift when it comes to climate change. The leaked draft of the forthcoming coming new report from the Intergovernmental Panel on Climate Change highlighted the atmospheric warming we’re likely to see, the rate of ice loss in the Arctic and the unprecedented (at least within the last 22,000 years) rate of increase of concentrations of greenhouse gases like carbon dioxide and methane. Since the beginning of the Industrial Revolution, the acidity of surface ocean waters has increased by about 30 percent11,12. This increase is the result of humans emitting more carbon dioxide into the atmosphere and hence more being absorbed into the oceans. 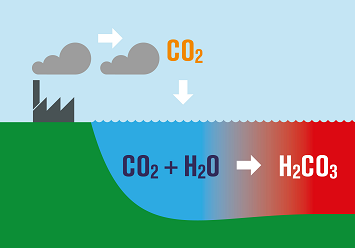 The amount of carbon dioxide absorbed by the upper layer of the oceans is increasing by about 2 billion tons per year13, 14. Both the extent and thickness of Arctic sea ice has declined rapidly over the last several decades8. 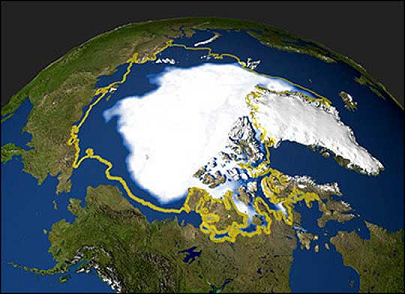 September 2012 had the lowest sea ice extent ever recorded, 44 percent below the 1981–2010 average for that month. The September 2016 sea ice extent was more than 700,000 square miles less than the historical 1981–2010 average for that month (see Figure 1)—a difference more than two and a half times the size of Texas. March sea ice extent reached the lowest extent on record in 2015 and hit roughly the same low again in 2016—about 7 percent less than the 1981–2010 average. National Research Council (NRC), 2006. Surface Temperature Reconstructions For the Last 2,000 Years. National Academy Press, Washington, D.C.
Church, J. A. and N.J. White (2006), A 20th century acceleration in global sea level rise, Geophysical Research Letters, 33, L01602, doi:10.1029/2005GL024826. The global sea level estimate described in this work can be downloaded from the CSIRO website. Levitus, et al, "Global ocean heat content 1955–2008 in light of recently revealed instrumentation problems," Geophys. Res. Lett. 36, L07608 (2009). Kunkel, K. et al, "Monitoring and Understanding Trends in Extreme Storms: State of the Knowledge," Bulletin of the American Meteorological Society, 2012. Rutgers University Global Snow Lab, Data History Accessed August 29, 2011.